Since the late 1990’s, Cedefop has worked systematically on validation of non-formal and informal learning. It was time to come together to reflect on the past, look at the present and think of the future of validation in Europe. 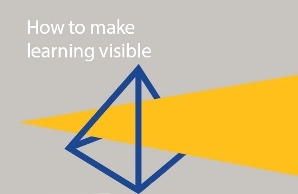 On 28th and 29th of November 2016, Cedefop organised the conference ‘How to make learning visible: strategies for implementing validation of non-formal and informal learning’ in Thessaloniki, Greece. With over 200 experts from all over Europe, we discussed how to make validation of non-formal and informal learning a reality. We would like to take this opportunity to thank all participants for their involvement and active participation. All of you have contributed in making the event informative and interactive. The conference produced a lot of material that will be used to inform European policies in the coming years! We have developed some videos and a brief summary with the main conference outcomes. You can access all presentations at the programme tab above. You can also find further information about validation at our project webpage. Please feel free to share any of this information! Don’t forget to follow updates through our twitter account and our #ValidationEurope hashtag, where you will find all discussions around the topic. Cedefop's validation conference was part of the European vocational skills week.